Listen, folks, let me just take control of this. This is exactly what’s on the card. I will take responsibility for this. It was my mistake. It was on the card. 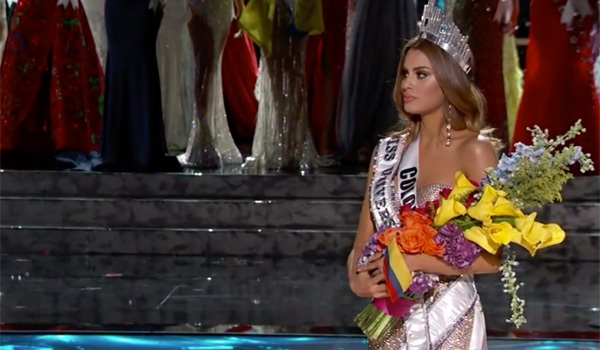 Horrible mistake, but the right thing… the first runner-up is Colombia. Yeah, it’s awkward, in a waking nightmare sort-of way. Pageants get a lot of flack for being beauty-based and silly, but I can’t imagine what it would feel like to put months of prep work in and then win, only to find out two minutes later that you really weren’t quite up to snuff after all. Thank goodness Colombia is a trooper and didn’t have a breakdown on stage, as that would have been an absolute mess. 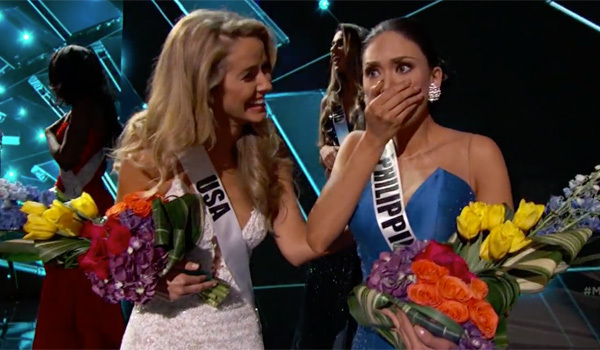 The Miss Universe pageant is shot live and flubs have happened in the past, but we've never seen anything as insane as the mistake Steve Harvey made. We'd be shocked if he is ever asked back to host the popular pageant again.